The crowd rages inside the Coliseum, they are waiting for the Gladiators to make their appearance. Only one of them will survive this cruel fight. 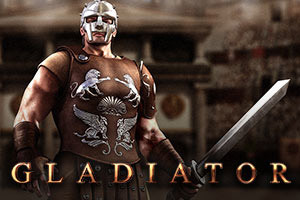 Enter the Roman Empire at its golden age and be the strongest gladiator. Get the princess symbol on the 1st position of any reel to activate the 2x Wilds. The princess will throw a bunch of rose petals, making the symbols beneath her spin x2. Any winning combination with the wild symbols x2, will win you double as much! Receive the Gladiator on any position on the third reel to activate the wild success option. While this feature takes place, a marble slab will cover the central reel, that the gladiator has to break to reveal the reel. 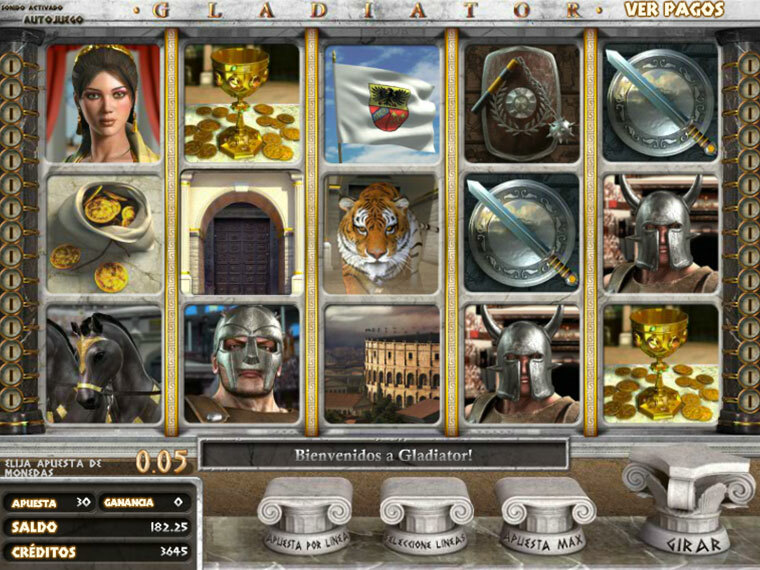 Get 3 or more symbols from the door at any given position on any reel to activate the coliseum doors. You will have to choose one of the symbols and click on it to win huge. Keep the button clicked until the word Collect appears. Get ready for battle!